Bella, a female red werewolf, was adopted by a pack of gray wolves as a pup. Now grown up, the alpha of the pack tries to make her his mate against her will. Bella knows she has no choice but to run away. She makes her way as a lone wolf until her childhood friend Devlyn comes to bring her home. On their journey back, they get tangled up in unimaginable danger and must apprehend a werewolf murderer while keeping their identity secret from humans. 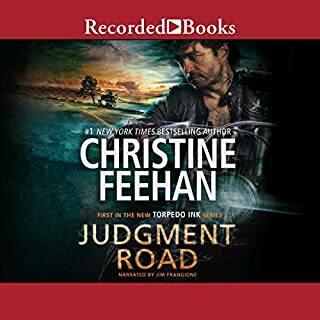 The Amazon jungle holds many dangers, as Kathleen McKnight well knows after her mission to bring down a drug cartel goes horribly wrong, leaving her the only survivor on her team. Determined to find the mysterious man who saved her, she returns to the jungle a year later only to find it holds more secrets than she could have ever imagined. Since saving Kathleen, jaguar shifter Connor Anderson hasn't been able to get her out of his mind. When she returns to the jungle to seek him out, he only knows one thing: that he must claim her for his own. Well written and a unique viewing of shifters. Like character intro and narration. Looking forward to seeing where this series goes! 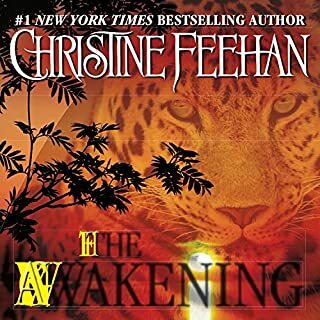 The narration was good and I loved the shape shifting angle, The story and the characters were well developed and held my interest until the end. I will be looking for more. I really got into this story from the sifters to the one who can’t forget the jaguar as one of them can’t forget her. When Kathleen is caught by a drug lord she is at her wits in wondering how things could go so wrong. This was supposed to be an easy in do the take down and get out all alive. It looks like someone they know changed sides and wants Kathleen out of the picture. In return, she loses all her man and is about to come face to face with the man in charge. What could he want with her, she is about to find out when she hears a jaguars growl and all kind of noises going on around her. Next things she knows is there is the handsomest man she has ever seen has come to save her. She learns he has a jaguar which captivates her. She can’t forget them even a year later when she is out of the military she decides to go back to the scene in hopes of finding the man and his cat. This is where things get very interesting with danger, a hunt and killers along with the drug lord who has never gotten Kathleen. The narrator has no trouble pulling the listener in making you picture the scene before you. Her character voices are wonderful from her male to her female ones. Her character voices fits the character, and she brings true emotion to her audio. There are no background noises, no volume changes and no repeating of words. Her audio is very clear and clean taking the listener away to a magic place where people shift into a powerful cat. If any breaks were taken I could not tell. It was a wonderful listen from start to finish. I can’t wait to listen to more of her work. The author knows how to pull her reader in bring a wonderful plot full of mystery, danger and romance. I loved the characters the way they played out, the danger and the mystery. The romance is very steamy and hot. I really liked the characters and how the author builds up to the ending. I can’t wait to listen to more of her stories. 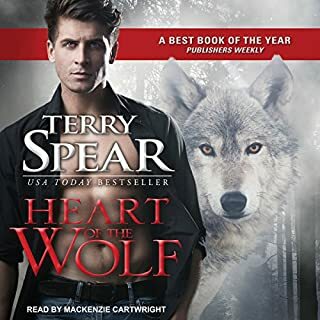 I usually enjoy books by Terry Spear, however, not true for this one. To be fair, it may have a lot to do with the narration. The story has *huge* holes in logic and the dialogue comes across very awkward and oddly pedantic at times. Ms. Spear did a great job with research on the jungle and Jaguars so that's really nice, but the amount of details at times is distracting. The basic premise is interesting and it does entertain the listener. I'm just not going to buy more in the series. Would you listen to Savage Hunger again? Why? Kathleen McKnight because she was a human who knew nothing about jaguar shifters at the beginning of the story, so I was seeing them through her eyes and learning about them alongside her. She was a strong, courageous female lead, which I loved. Which character – as performed by Mackenzie Cartwright – was your favorite? Kathleen McKnight. Cartwright is a talented narrator who did all the voices well, but I prefer dual narration, where a woman reads the female parts and a man the male parts. If you loved Romancing the Stone, you'll love this jungle romantic suspense with a paranormal twist. This was a very suspenseful read with lots of twists that kept me guessing. It hooked me from the opening scene. I loved the entire adventurous story from beginning to end. You had the strong male alpha and a strong female captain. Many times the story falters because one or the other plays hard to get for too long. In this case, once it's discovered that Kat has changed; Connor does his all to protect his family and get them to safety. Which is back home to Texas. There is so much wrong with this story, I just don’t know where to begin. Connor as an alpha male comes off as wimpy. He is a jaguar shifter who lets his sister have way too much control over his life choices. Who does that? And Kathleen come on, she is supposed to be a trained solider, but poor me falls apart after leading and the key word is leading a mission that ends in failure. Basically like this review the story is all over the place. The premise of the book was good, but the characters not developed. The love connection is forced. Even the bad guys come off as campy. The narrator wasn’t that great. Save your credit.